Sometimes a door is more than just a door. Sometimes it’s a statement; sometimes it’s a quiz. Sometimes it’s a fridge, a wardrobe, a phone booth. 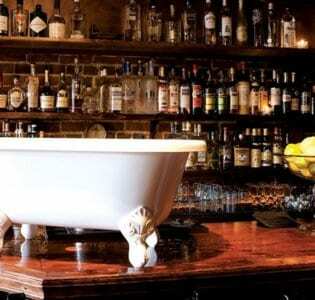 If we’re talking about one of the growing wave of Prohibition era-influenced bars it’s likely to be one of the latter. The concealed entrance is all part of the aesthetic. The illusion of secrecy, of participating in something a little illicit, is part of the appeal. This is certainly the case in The Mayor of Scaredy Cat Town, concealed behind a fridge door within the Shoreditch branch of the Breakfast Club. In a compact, suitably atmospheric space you can quaff cocktails inspired by the recipes of the 20s and 30s while people sip lattes and chow down on soups and sandwiches next door. 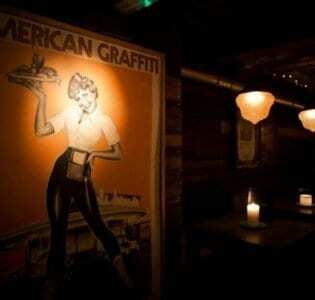 Callooh Callay, also in Shoreditch, goes one better. 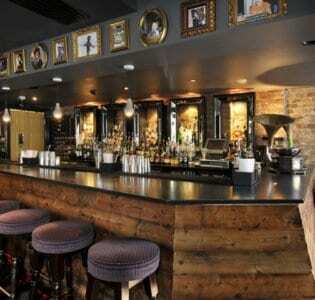 The bar itself is a playful, quirky space, with vintage décor and cocktails to match, but there’s a surprise in store for the dedicated drinker in the shape of the Jub-jub bar, accessed in manner of which Lewis Carroll would approve via a huge wardrobe. 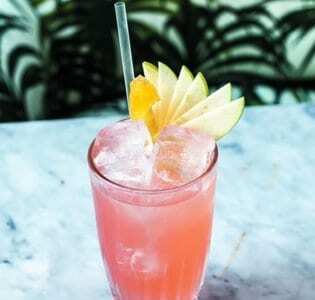 This takes you through to an upstairs space where cocktail-lovers can revel in the drinks of the era made by staff who are passionate about their craft. 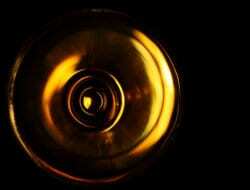 Prohibition itself, the ‘noble experiment’, lasted from 1920 to the date of its repeal in 1933. The laws did little to quell the public thirst and the sale and manufacture of alcohol was pushed underground. This was the era of the speakeasy, an illicit booze saloon sometimes referred to as a ‘blind pig’ or ‘blind tiger’ where people could go to have a drink. Prohibition also heralded the growth in popularity of the mixed drink as availability of alcohol was limited, forcing bar tenders to get creative. 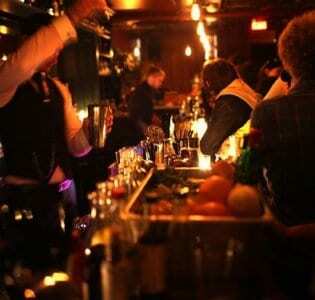 The influence of the speakeasy on drinking culture in the US has been considerable and, if anything, that influence has been more keenly felt in the last few years where there has been a definite growth in the speakeasy-style bar. Partly this is to do with the glamorous associations of the era and partly this is to do with the appeal of doing something with an element of mystery and secrecy: the coded knock, the unmarked entrance. You can see evidence of this influence – sometimes overt, sometimes subtle – in numerous London bars like The Nightjar (once again in Shoreditch) and Bourne and Hollingsworth in Fitzrovia where cocktails come served in tea cups and the interior design harks back to a more elegant age. The Lucky Pig, also in Fitzrovia, is a relative newcomer but also boasts the by now familiar combo of vintage furnishings, braces-clad bar tenders and classic drinks. 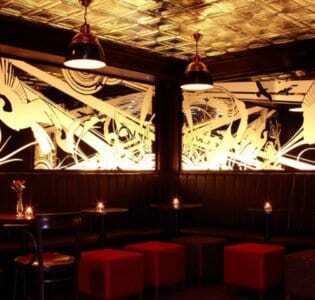 The New York City bar scene is similarly in thrall to the speakeasy. One of the latest additions to the liquid landscape is Bathtub Gin, a Chelsea cocktail lounge with a whole faux-coffee shop frontage as cover up. The best known (ironically) of the recent spate of Prohibition-style bars is PDT– the initials stand for Please Don’t Tell – which can be accessed via a phone booth at the back of hot dog parlour Crifs Dogs. The flipside of its popularity means that there are few people who don’t know about PDT but that hasn’t dented its appeal – it helps that drinks are excellent and the hot dogs are something special too. The Back Room has a similar vibe. The entrance is unmarked (look for the sign reading Lower East Side Toy Company) and the beer bottles come wrapped in paper bags – just in case the cops burst in. A sliding bookcase conceals an inner hidden bar. Little Italy drinking den The Mulberry Project is also intentionally hard to find, with no signage and an unmarked door; this is far less gimmicky approach. 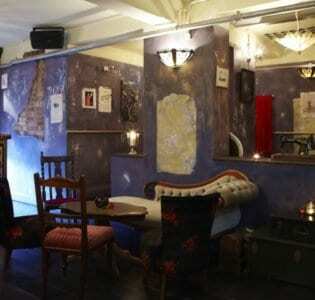 There are no bath tubs here, no teacups, just inventive cocktails served in intimate surrounding. 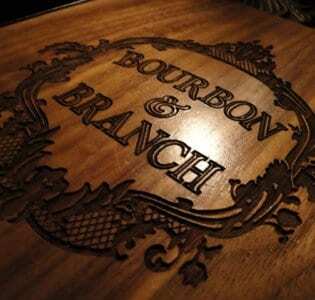 New York isn’t the only city to run with the Prohibition trend – San Francisco’s Bourbon and Branch is a great example of how to utilise this style without it feeling like an exercise in bandwagon-jumping – but New York is where such bars proliferate. 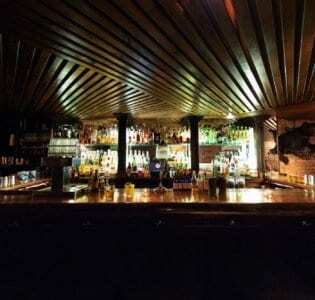 It was also the home of one of the first bars to cast its glance backwards to the 1920s and 1930s, Sasha Petraske’s Milk and Honey, a members bar where the drinks were pushed centre stage, a code of conduct was observed (‘No hooting, hollering or other loud behaviour’) and the bar staff were as dapper as they were skilled. While the sheen of novelty has long since worn off – there’s been a Milk and Honey in London too for some time now – it remains a good example of how to take the trappings of a past era and transplant them to a contemporary urban setting.